Arranging a family vacation can add an extra layer of complexity to your trip planning. Fortunately, picking the right destination can dramatically simplify your planning. Close, friendly and packed with family-friendly activities, Belize is an ideal destination for a family trip. Here are just a few options for planning a Belize family trip that will appeal to everyone in the household. 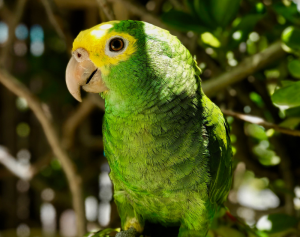 Belize is home to dozens of national parks and wildlife sanctuaries, making bird watching and animal spotting a family-friendly endeavor. Explore the Community Baboon Sanctuary in the Belize River Valley, admire rescued wildlife at the Belize Zoo or try to spot jaguar at the Cockscomb Basin Wildlife Sanctuary. You can also wonder at spiny iguanas at the Green Iguana Conservation Project and marvel at colorful butterflies at the Green Hills Butterfly Ranch. These destinations bring the wildlife to you, ensuring that younger family members won’t get bored, frustrated or tired out along the way. Belize’s endless white beaches and sparkling blue waters mean that you’ll gravitate towards lazy days on the sand or in the ocean or river. From diving to snorkeling to tubing to sailing, there are myriad options for enjoying this integral part of Belizean life. Swim with turtles and rays at the Ho Chan Marine Reserve, take a boat tour out to Ambergris Caye or cruise down Monkey River. Younger kids will be content to splash in the rock pools, gather seashells or play volleyball on the sand. Belize was home to the ancient Maya, and their legacy is still firmly on display today. The sheer size and scale of the Mayan ruins will impress the whole family. Most accessible is Xunantunich, with dozens of temples, palaces and plazas, although Caracol claims the title of being the largest man-made structure in all of Belize. You can also take a boat ride down New River to Lamanai, with its giant friezes featuring jaguars and kings. There’s no risk of boredom in Belize, where adventure tours abound. Horseback riding, hiking, paddling and rock climbing are all possible itinerary items. Go canoeing on the Macal River, try a Bocawina forest eco-tour, whiz along the jungle on a high-speed zip line or go spelunking in the Crystal Cave. Most tours have kid-friendly options suitable for all but the youngest visitors. If you’re exhausted after your outdoorsy adventures, opt for a cultural experience. 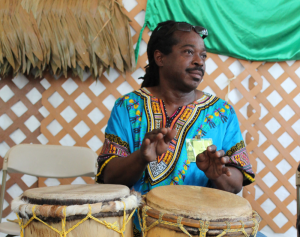 Garifuna drumming classes are on offer in Hopkins and Gales Point, and are a great opportunity for kids to learn about traditional musical styles. Meanwhile in Punta Gorda you can opt for a “Living Maya” experience, where you can try cooking, basket-weaving and hammock-making using traditional methods. Travel provides an opportunity to try out new types of food, and Belize has plenty to offer on this front. Kids can try hudut, a mix of plantains and fish stew; fry jacks, a type of tortilla; and conch fritters, ceviche and lobster. There are dozens of tropical fruits to explore, including mangoes, sapodilla, soursop, papaya and dragonfruit, along with tasty fresh juices and smoothies. Safe, friendly and full of family-friendly adventures, Belize is the ideal destination for a family vacation. 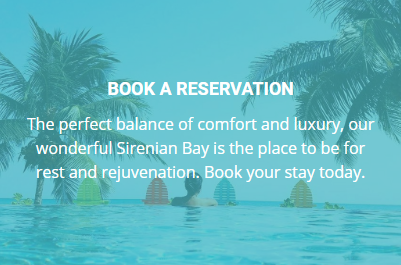 Visit us at Sirenian Bay and explore all that this tropical paradise has to offer.